When most Christians think “theology,” they think the study of God as expressed in words—in either verbal or written forms. Theology is communicated through sermons, catechisms, creeds, dialogue, books, and articles, this we know. But few Christians have considered that theology can also be conveyed through visual art—through paint, wood, stone, cloth, ceramics, and other materials. 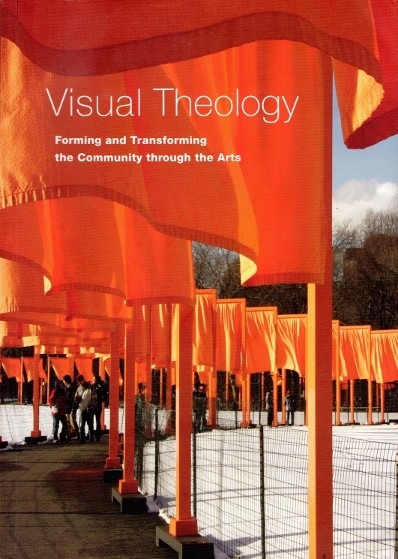 This is the conviction that’s posed and exemplified in Visual Theology: Forming and Transforming the Community through the Arts, edited by Robin M. Jensen and Kimberly J. Vrudny (Collegeville, MN: Liturgical Press, 2009). The book is made up of fifteen essays, each one considering the work of a different modern or contemporary artist (or artists) from a theological perspective. Most of the essays read like art criticism, as there tends to be a lot of discussion of the work’s formal qualities, the artist’s background and oeuvre, and analysis of the work’s meaning. But the ultimate aim is to engage the reader in theological reflection, and to this end each essayist (with the exception of one) ties it all back to God. Coediting the books Arts, Theology, and the Church: New Intersections and The Grotesque in Art: Theological Reflections. Yates has said that the arts “can serve theology as a source of identifying and understanding the religious questions of human existence” (qtd. 26) and can reveal “human and holy ways of understanding who we are and the life of the world in which we live” (qtd. 151). 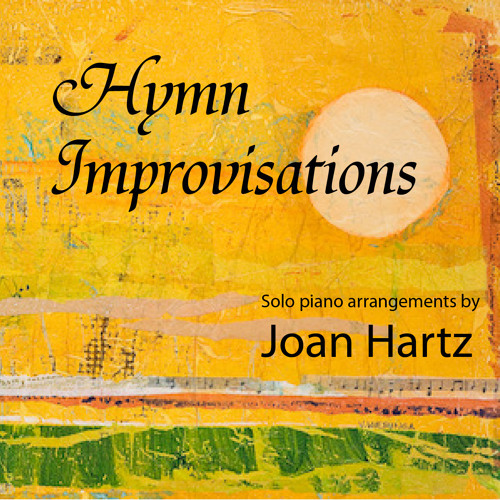 Art is an exploration of the human condition, and as such, artists seek to engage a lot of the same questions that theologians do: Who are we? Why are we here? Where are we going? What is truth? What is beauty? Who is God? Does suffering have a purpose? Sometimes words are insufficient to answer such weighty questions. Sometimes pictures speak louder, more clearly. Sometimes they provide an easier entry point into reflection. Sometimes they challenge us, powerfully, to act, in a way that words cannot. What it is is fifteen different writers—inspired by the writings of Wilson Yates—interpreting religious meaning in select works of art. Some Christians are intimidated by today’s art; they don’t understand its rules. Traditional representational art they get; black squares and wrapped coastlines and beastly blobs encrusted with skyscrapers they don’t. 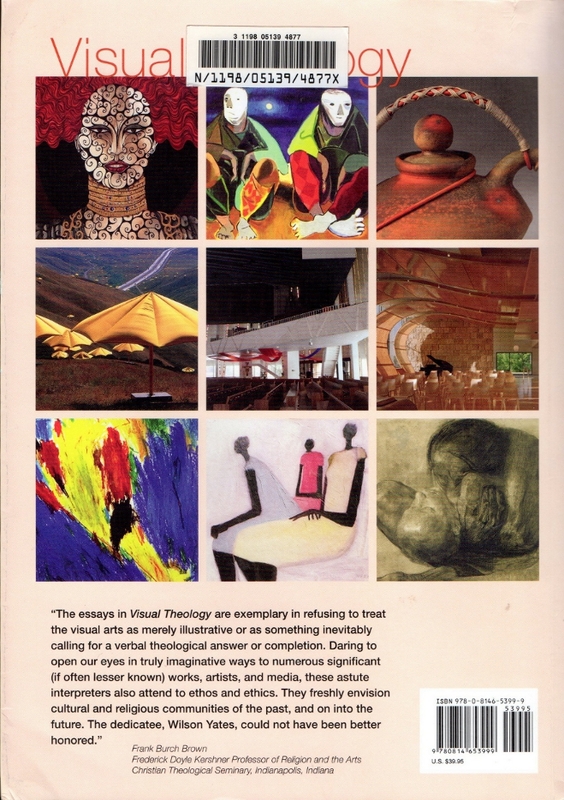 Visual Theology trains our eyes to see meaning in contemporary works of art, even (and especially) those without explicitly Christian content. Artists, whether Christian or not, have much to teach us. Art is their way of contributing to the conversation of life. I loved this book and give it my full recommendation. As much as I’ve read about visual theology, I found this treatment of the topic fresh and enriching. The book is beautifully designed and produced, with full color and glossy pages. Each and every essay is well written and well structured and offers keen insights. I appreciate the broad scope of media and methods covered: oil painting, drawing, watercolor, porcelain, pastel, clay, stone sculpture, letter carving, ceramics, collage, outdoor installation art, architecture, etching, woodcut, and lithograph. There’s also a mix of styles, including realism, expressionism, symbolism, surrealism, conceptualism, and pure abstraction. I was a little disappointed that there wasn’t more of a global reach when it came to artist selection, though. They’re all Western, with the possible exception (depending on your definition of “Western”) of Argentinean (but European-trained) artist Ricardo Cinalli and Lakota artist Francis Yellow, who features only minorly. Nonetheless, different countries, backgrounds, and influences are represented throughout. Altogether, the book highlights the breadth of ways in which artists express truth or provoke thought and thoroughly demonstrates, through example, how Christians can read contemporary art through the eyes of faith, seeing Christ in all. Check back in tomorrow to see an annotated chapter list, including all the contributor names and featured artists. This entry was posted in Books, Theology, Western Art and tagged christian book review, christianity and the arts, united theological seminary, wilson yates. Bookmark the permalink.